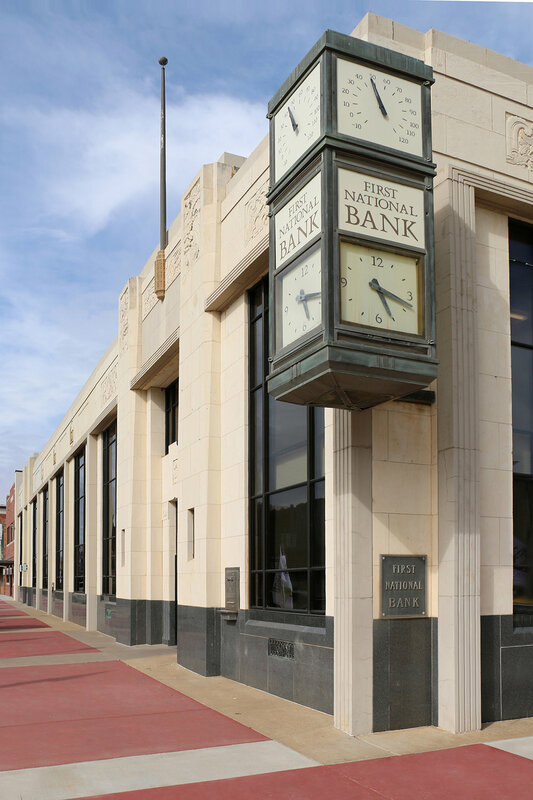 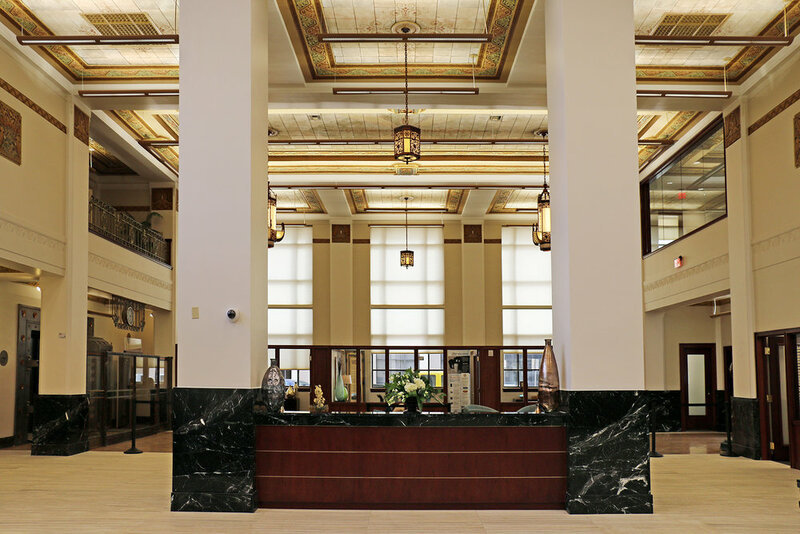 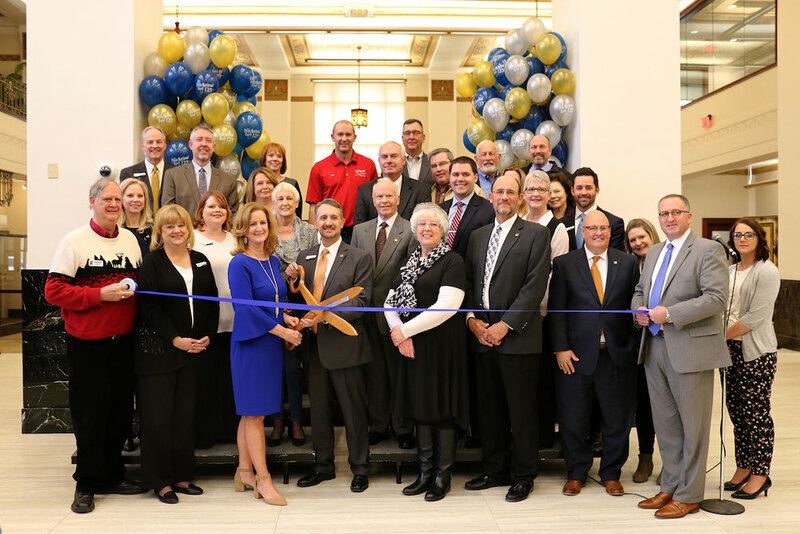 CMSWillowbrook completed an addition and complete renovation to the historic 1931 First National Bank and Trust building in downtown Chickasha, OK. 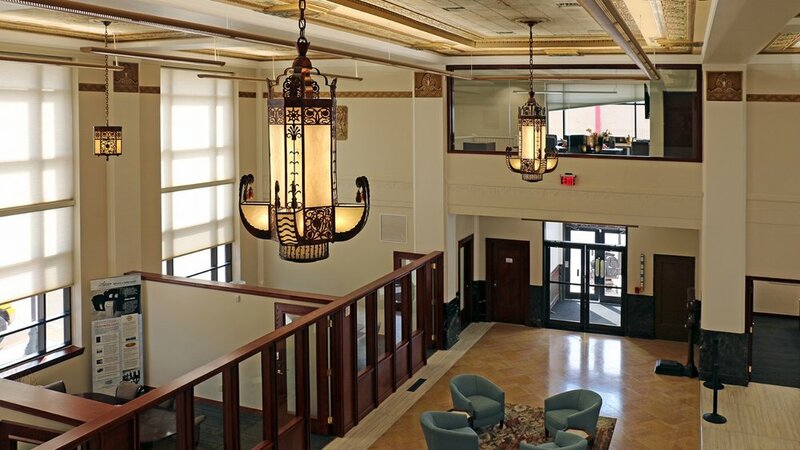 The renovation included the demolition of the second floor footbridge, installed in the mid-1970's, opening up the view of the historic ceiling details of the original building. 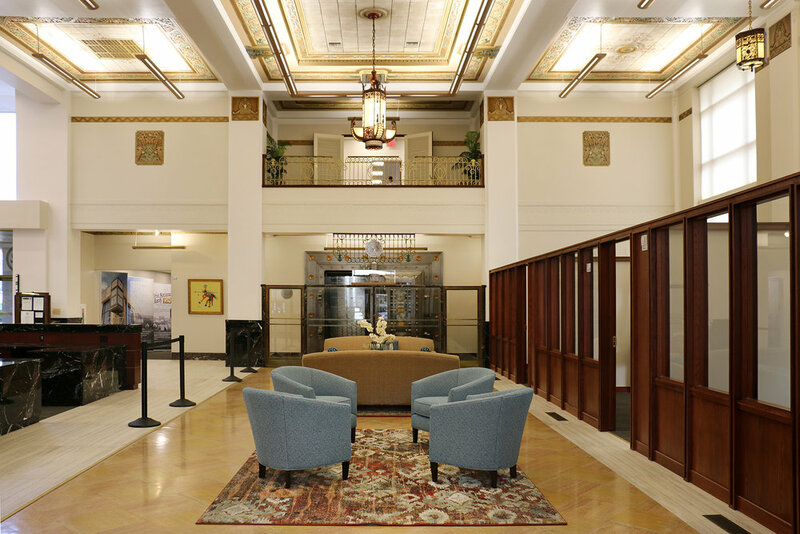 The bank's original marble floors were also exposed and restored. 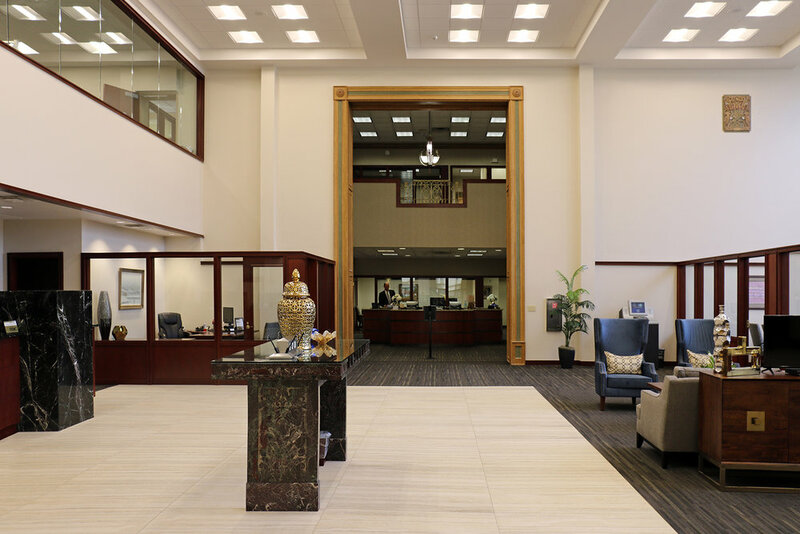 The project included the renovation of offices, boardrooms, the community hall and reception areas. 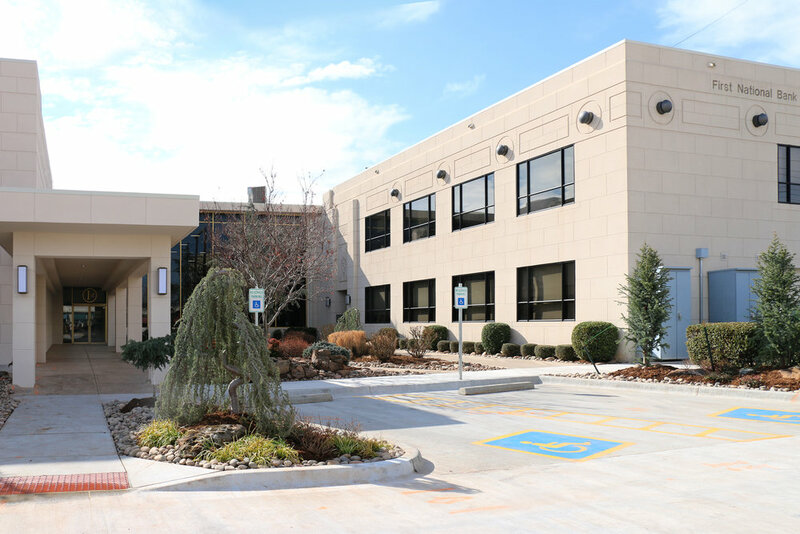 The addition consisted of a new kitchen, second story offices, new elevator, an additional drive thru ATM location and landscaping.